Perttu Kivilaakso (b. 1978) is a cellist and composer best known as lead cellist in the cello rock band Apocalyptica, which has sold some 5 million albums and given more than 1,000 concerts in almost 60 countries on all continents. 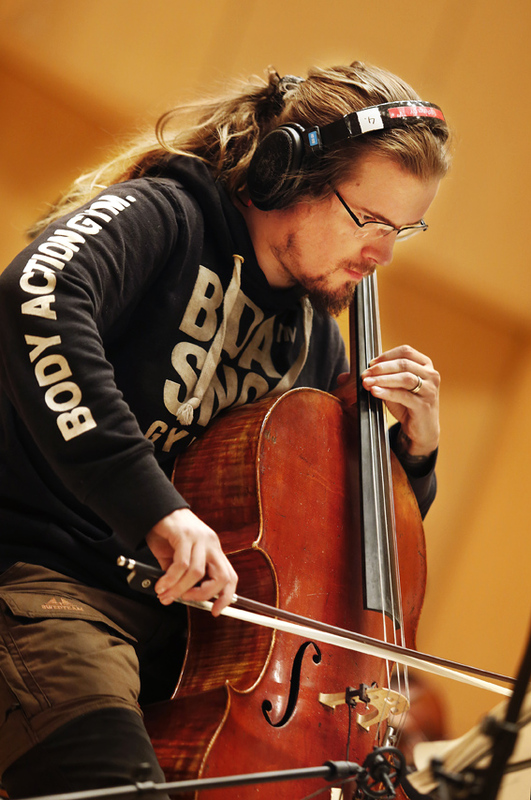 Before Apocalyptica, Kivilaakso had a number of recitals and solo appearances as a classical cellist to his credit, and until 2005 he held a regular position in the Helsinki Philharmonic Orchestra. He received 3rd prize in the Paulo Cello Competition in 1996. Kivilaakso is a huge opera fan, above all a fan of Verdi, Wagner and Puccini. In 2016, the Finnish National Opera premiered Indigo, an opera that he co-wrote with fellow Apocalyptica member Eicca Toppinen. Kivilaakso has written film music and computer music featuring a combination of musical styles. He is also a fan of Tolkien’s Middle Earth, the Star Wars cycle and Marvel superheroes.